Last week was another strong one for my predictions as I have now worked my way up to .500 on the year against the spread. Hopefully that is a mark that will continue to progress in the final few weeks of the regular season. Entering this weekend, two playoff spots have been clinched meaning that ten remain up for grabs. Fortunately, this weekend slate features a bunch of intriguing games between teams fighting for their playoff lives. Some of the teams in those matchups we still have questions about, so it will be interesting to see if we have any more clarity as the action unfolds. Game of the weak: Browns vs Bills: One of the few games not featuring a team in playoff contention, there might not be a whole lot to watch in this one unless there are fantasy football related implications. My main questions surrounding this one are if Rex Ryan is now the closest head coach in the league to resembling the Jeff Fisher scenario (known for a few outlier seasons, nothing special as a head coach), and if the Browns do run the table, who is known as a worse team them or the 2008 Detroit Lions. 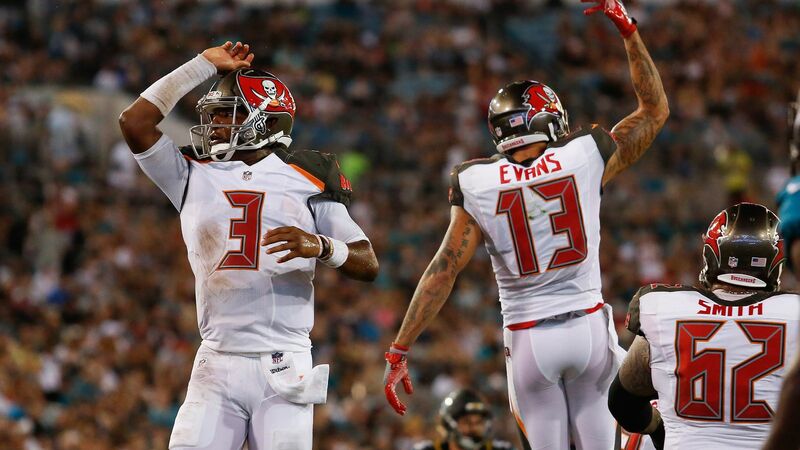 Game of the week: Buccaneers vs Cowboys: Oh, how much can change in a few weeks. The Cowboys looked like a clear cut option as the top team in the NFC, but after a close win which led to plenty thinking a blueprint was set to beat them, the Cowboys lost on the road to the Giants that next week. That plan includes having the ability to get pressure on Dak Prescott who has come down to earth in recent weeks. This entry was posted in NFL, Picks against the spread, week 15 predictions and tagged 2016 NFL Predictions, 2016 week 15 predictions, Arizona Cardinals, Atlanta Falcons, Baltimore Ravens, Buffalo Bills, Carolina Panthers, Chicago Bears, Cincinnati Bengals, Cleveland Browns, Dallas Cowboys, Denver Broncos, Detroit Lions, Green Bay Packers, Houston Texans, Indianapolis Colts, Jacksonville Jaguars, Kansas City Chiefs, Miami Dolphins, Minnesota Vikings, New England Patriots, New Orleans Saints, New York Giants, New York Jets, NFL, Oakland Raiders, Philadelphia Eagles, Picks against the spread, Pittsburgh Steelers, San Diego Chargers, San Francisco 49ers, Tampa Bay Buccaneers, Tennessee Titans, Washington Redskins. Bookmark the permalink.